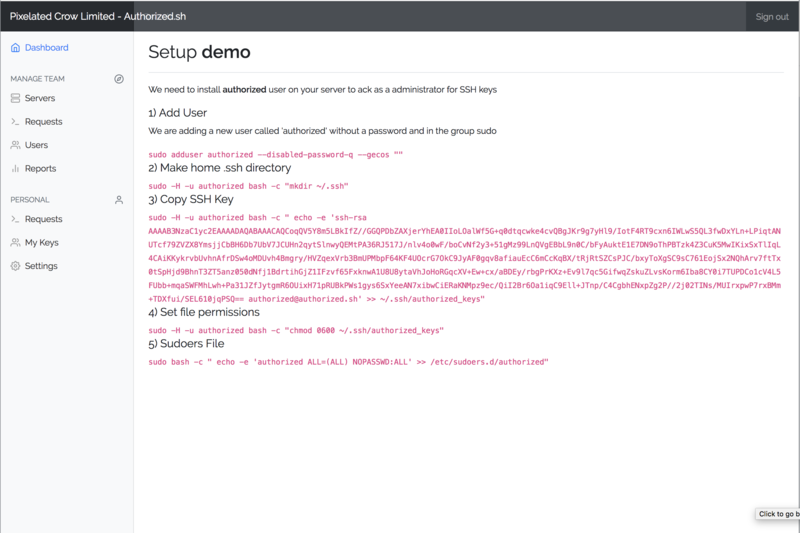 Increase your team's SSH key's security without increasing your hassle. 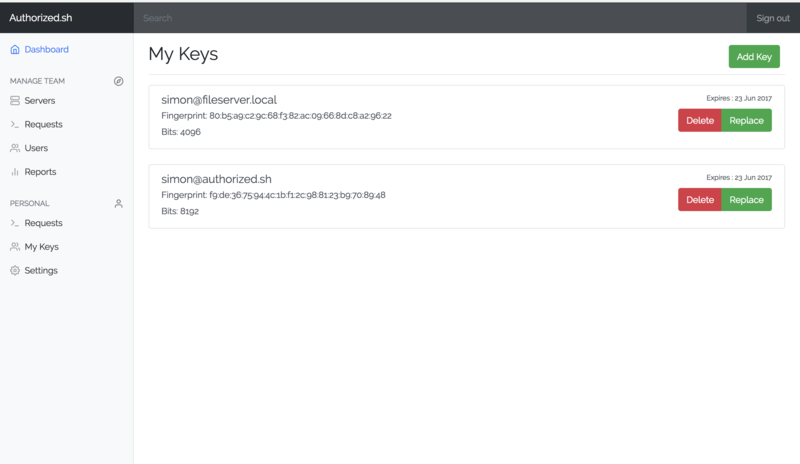 Force your team to regenerate their SSH keys on a period set by you. Each staff member is required to generate a unique key pair on there work machine, and they have more than one if they have more than one workstation. They only need to provide us with their public keys. Keep an eye on who is accessing your servers. Be the first to know about unathorized access. As long as your server is running an OpenSSH server, we are ready to go with no additional software required. What people say about Authorized. Managing SSH keys has always been a pain. The more servers and team members you have the bigger the pain is. Hence we build authorize to fix it! Before using Authorized I used to have a cluttered .ssh directory and it would be a miracle if I could access a server first time. Now with one key, accessing all my servers has never been easier! Copyright © 2015-2019 Pixelated Crow Limited. All Rights Reserved.